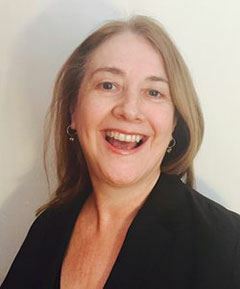 Gina Samardge (director, and head teacher). 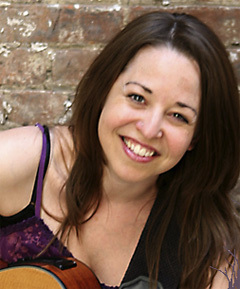 Known for her warm, engaging style and ability to blur the lines between art forms, Gina infuses the principles of elemental music and movement found in the Orff-Schulwerk Approach not only into her teaching, but into her performance work, be it theater, clowning or music, bringing an honesty and presence to both stage and classroom. Gina is a big believer in the power of the arts and feels that everyday she sees examples of how arts transfer more than just the ability to sing or dance but also teach us, at a root level, how to learn. After moving to New York in 2002 Gina began performing with VOICETheatre, The Soon-To-Be-World-Famous Female Clown Troupe and the Main Squeeze Orchestra, an all female accordion ensemble, giving her opportunities to work with Cirque du Soleil and back indie band, Devotchka, as an accordion toting mermaid. She's written and arranged music for theater and film and her ongoing role as the accordion toting, hightop wearing Princess Penny made her and the clown and music ensemble, The Maestrosities, a staple in the NYC underground worlds of clowning, cirque and vaudeville, taking them all the way to Shanghai, China as a part of the Kim Tom International Clown Festival. Ms. Samardge has had the honor of studying acting and clown with such industry luminaries as David Shiner, Richard Crawford, Norman Taylor, Shauna Kanter, Seth Barrish, Jean Taylor and Sally Johnson. Gina is currently the music teacher at Hudson Hill Academy, where she handles Pre-K through 8th grade music at their Newburgh campus. Formerly, she was a teaching artist in the Brooklyn Public Schools and directed The Brooklyn Conservatory Children's Chorus, where she produced 3 choral festivals serving the Conservatory's various outreach choral programs. Gina was selected as a Time Out NY Kids' Top Choice for her sing-a-long birthday parties and in early 2012 she appeared on Sesame Street in the episode "The All Of Our Senses Club". She is a member of the Early Childhood Music and Movement Association, the Dalcroze Society of America, the American Choral Directors Association, and the American Orff-Schulwerk Association. She is a certified Orff-Schulwerk Educator, having completed all 3 levels of training under the instruction of Danai Gagne, Judith Thomas, Laura Koulish, Mary Helen Solomon, Karen Medley and Janet Robbins, and continues her professional development in Orff, Kodaly, Dalcroze and Gordon pedagogies. Gina's Parents' Choice Approved album, "Together," perfectly combines her 3 loves: performing, travel and teaching. Backed by a stellar group of musicians from the indie and jazz worlds, and former student choristers, Gina takes you on a journey around the world, from Puerto Rico to Liberia to the playground in your own backyard. Spontaneous and lively, you can't help but move to the intricate rhythms of the drums, bass, flute, fiddle, accordion and guitar. TOGETHER is available on iTunes HERE. 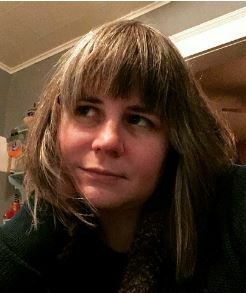 Deb Lucke (Graphic Novel Workshop) Deb Lucke is a writer and illustrator of children's books with an interest in bad behavior and horribly embarrassing incidents. Since her own childhood had plenty of both she is never short of material. In addition to children's trade and educational books, Deb has illustrated for numerous editorial publications including The Cleveland Plain Dealer, The Baltimore Sun, Minneapolis/St. Paul Magazine, Cricket Magazine, and School Library Journal. Deb lives and works in Cold Spring with writer Paul Hartzell. Lisa Marie Martinez (Soneritos, Rumberitos, Garabatitos) Lisa Marie Martinez holds a BA in Anthropology and Latin American Studies with a concentration in Cuban Studies. She is passionate about music and child development and the important role of play for people of all ages. She has studied in many countries in Latin America and the Caribbean, including Cuba and Mexico, which has influenced her approach to learning, language acquisition and child development. 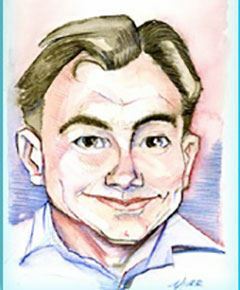 Ed Murr (Cartooning, Characters & Comics) Ed Murr can’t remember a time he wasn’t drawing or interested in art. A lifelong passion for comics, cartooning and telling stories led him to a career in illustration that has spanned nearly eighteen years. Comic-book illustration at Marvel Comics, drawing caricatures at Sardi’s in Times Square, creating storyboards for clients like Fed-Ex, Panasonic and Adidas, music videos, film and television projects both animated and live action, toy manufacturers, Six Flags amusement parks – the list goes on! Whatever the medium, at the heart of Ed's work is a focus on telling a story that needs to be told. Romina Robinson (various workshops, including Tiny World Terrariums) Romina Robinson holds a Master's degree in Art and Design Education from Pratt Institute in Brooklyn. For nearly a decade living in the New York City area, Romina worked in a wide variety of educational settings, from private cooperative home-school groups, to museum settings, public and private schools, and a truly special kids-focused art studio known as the Art Shack. This eclectic experience fueled her particular philosophies in terms of teaching "through the lens" of art making. In her classroom, nearly anything can be translated into a hands-on, creative experience. These moments are even more so enhanced when students work in a collaborative effort, talking, thinking, and problem solving together. Romina now lives in Beacon, NY, with her husband and daughter. Sarah Schulman (Little Buds) Sarah Schulman holds a Master’s Degree in Early Childhood Education from National Louis University. She has taught parent/child classes and Baby Sign Language classes since 2001. For the past nine years Sarah has taught preschool for Head Start in Chicago, Illinois with a focus on English Language Learners and children on the Autism Spectrum. She considers working with children and their families to be a lifelong privilege and practice. 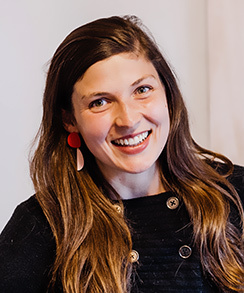 Sarah resides in Beacon with her husband and two young children.